Professor Sally Brailsford is Professor of Management Science within Southampton Business School at the University of Southampton. Sally obtained a BSc in Mathematics from Kings College London, and then worked for several years as a nurse in the NHS before obtaining an MSc and then a PhD in Operational Research from Southampton. Her research is in the area of healthcare simulation modelling: to evaluate treatments and screening programmes, or to redesign and improve service delivery. Sally has worked for over 25 years in many different disease fields including diabetes, cancer, mental health and HIV/AIDS, in addition to emergency care and end-of-life care. From 2012-15 she was Vice-President 1 of EURO, the Association of European OR Societies, and is currently Coordinator of the EURO Working Group on OR Applied to Health Services (ORAHS). 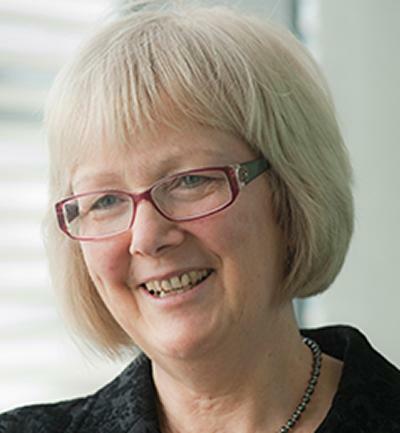 She is one of the Editors-in-Chief of the UK OR Society’s journal Health Systems and is on the editorial boards of Health Care Management Science, the Journal of Simulation and Operations Research for Health Care. She is the only person ever to have won the OR Society's Goodeve Medal three times: in 2004 for modelling emergency healthcare services in Nottingham, in 2006 for modelling chlamydia infection, and in 2015 for modelling the supply and demand for dental care in Sri Lanka. My research has been chiefly in the area of health care modelling - to evaluate treatments and screening programmes, to allocate resources, to redesign processes and to improve systems. I have worked specifically in the disease fields of HIV/AIDS, diabetes, cancer and sexually transmitted diseases, in emergency care and in healthcare information systems. I have mainly used discrete-event simulation and system dynamics as modelling tools. I am interested in incorporating behavioural factors in simulation models, in combining simulation methodologies, and in combining simulation with other approaches such as optimisation. Brailsford, S. (2005). Overcoming the barriers to implementation of operations research simulation models in healthcare. Clinical and Investigative Medicine, 28(6), 312-315. Davies, R., Brailsford, S. C., Roderick, P. J., Canning, C. R., & Crabbe, D. N. (2000). Using simulation modelling for evaluation screening services for diabetic retinopathy. Journal of the Operational Research Society, 51(4), 476-484. Brailsford, S. C., Roy, R. B., Shahani, A. K., & Sivapalan, S. (1996). Practical models for the care of HIV and AIDS patients. International Journal of STD & AIDS, 7(2), 91-97. Brailsford, S. C., Shahani, A. K., Basu Roy, R. B., & Sivapalan, S. (1992). Simulation modelling for HIV infection and AIDS. International Journal of Biomedical Computing, 31(2), 73-88. Brailsford, S. C., Rauner, M. S., Gutjahr, W. J., & Zeppelzauer, W. (1970). Combined discrete-event simulation and ant colony optimisation approach for selecting optimal screening policies for diabetic retinopathy. Computational Management Science. Cooper, K., Brailsford, S. C., & Davies, R. (1970). Modelling healthcare interventions. Journal of the Operational Research Society. Katsaliaki, K., & Brailsford, S. C. (1970). Using Simulation to Improve the Blood Supply Chain. Journal of the Operational Research Society, 58(2), 219-227. Brailsford, S. C., Churilov, L., & Dangerfield, B. (Eds.) (2014). Discrete-event simulation and system dynamics for management decision making. (Wiley Series in Operations Research & Management Science). United Kingdom of Great Britain and Northern Ireland, GB: John Wiley & Sons. Brailsford, S., & Harper, P. (Eds.) (2007). Operational Research for Health Policy: Making Better Decisions. Proceedings of the 31st Annual Conference of the European Working Group on Operational Research Applied to Health Services. Oxford, UK: Peter Lang. Sadsad, R., McDonnell, G., Viana, J., Desai, M. S., Harper, P., & Brailsford, S. C. (2014). Hybrid modelling case studies. In S. Brailsford, L. Churilov, & B. Dangerfield (Eds. ), Discrete-Event Simulation and System Dynamics for Management Decision Making (pp. 295-317). (Operations Research and Management Science). Chichester, GB: Wiley. Bayer, S., Bolt, T., Brailsford, S. C., & Kapsali, M. (2014). Models as interfaces. In S. C. Brailsford, L. Churilov, & B. Dangerfield (Eds. ), Discrete-Event Simulation and System Dynamics for Management Decision Making (pp. 125-139). (Wiley Series in Operations Research & Management Science). United Kingdom of Great Britain and Northern Ireland, GB: John Wiley & Sons. Brailsford, S. C. (2014). Theoretical comparison of discrete-event simulation and system dynamics. In S. C. Brailsford, L. Churilov, & B. Dangerfield (Eds. ), Discrete-Event Simulation and System Dynamics for Management Decision Making (pp. 105-124). (Wiley Series in Operations Research & Management Science). United Kingdom of Great Britain and Northern Ireland, GB: John Wiley & Sons. Seila, A. F., & Brailsford, S. (2009). Opportunities and challenges in health care modelling. In C. Alexopoulos, D. Goldsman, & J. R. Wilson (Eds. ), Advancing the Frontiers of Simulation: A Festschrift in Honor of George Samuel Fishman (pp. 195-230). (International Series in Operations Research & Management Science). Dordrecht, NL: Springer. Davies, R., & Brailsford, S. C. (2004). Screening for diabetic retinopathy – an evaluation of policies using discrete event simulation. In F. Sainfort, M. L. Brandeau, & W. P. Pierskalla (Eds. ), Operations Research and Health Care: A Handbook of Methods and Applications (pp. 493-518). (Kluwer's Inernational Series: Operational Research and Management Science). New York, NY, USA: Kluwer Academic Publishers. Brailsford, S. C., Churilov, L., & Liew, S-K. (2003). Treating ailing emergency departments with simulation: An integrated perspective. In J. Anderson, & E. Katz (Eds. ), Health Sciences Simulation 2003 (pp. 25-30). San Diego, USA: Society for Modeling and Computer Simulation. Brailsford, S. C., & Hilton, N. A. (2001). A comparison of discrete event simulation and system dynamics for modelling health care systems. In J. Riley (Ed. ), Planning for the Future: Health Service Quality and Emergency Accessibility Glasgow Caledonian University. Shahani, A. K., Brailsford, S. C., & Basu Roy, R. (1994). HIV and AIDS patient care: operational models for resource planning. In E. H. Kaplan, & M. L. Brandeau (Eds. ), Modelling the AIDS Epidemic: Planning, Policy and Prediction (pp. 179-198). New York: Raven Press. Meskarian, R., Penn, M., Monks, T., Taylor, M., Klein, J., Brailsford, S., & Benson, P. (2016). Utilisation of health and social care services by the over 65s population. A system dynamics study. Paper presented at Simulation Workshop 2016, Stratford, United Kingdom. Meskarian, R., Penn, M., Monks, T., Taylor, M., Klein, J., Brailsford, S., & Benson, P. (2015). Utilisation of the health and social care system by the over 65s population: a system dynamics study. Paper presented at OR Society Simulation Workshop 2016 (SW16), . Brailsford, S. C., Tolk, A. (Ed. ), Diallo, S. D. (Ed. ), Ryzhov, I. O. (Ed. ), Yilmaz, L. (Ed. ), Buckley, S. (Ed. ), & Miller, J. A. (Ed.) (2014). Modeling human behavior: an (id)entity crisis?. Proceedings of the Winter Simulation Conference 2014, United States. Brailsford, S., Silverman, E., Rossiter, S., Bijak, J., Shaw, R., Viana, J., ... Vlachantoni, A. (2011). Complex systems modeling for supply and demand in health and social care. Winter Simulation Conference 2011, United States. Brailsford, S. C., Desai, M. S., & Viana, J. (2010). Towards the Holy Grail: combining system dynamics and discrete-event simulation in healthcare. In Proceedings of the 2010 Winter Simulation Conference INFORMS. Brailsford, S. C., Straube, G., Ang, P. S., & Knight, P. (2008). Successful simulation in social services: two case studies. Paper presented at UK Operational Research Society Simulation Workshop 2008 (SW08), United Kingdom. Brailsford, S. C. (2008). System dynamics: what's in it for healthcare simulation modelers. In S. J. Mason, R. R. Hill, L. Monch, O. Rose, T. Jefferson, & J. W. Fowler (Eds. ), Proceedings of the 2008 Winter Simulation Conference (pp. 1478-1483). New York, USA: Institute of Electrical and Electronics Engineers. Patel, B., Brailsford, S. C., & Harper, P. (2007). Taxonomy of modelling and simulation methods in healthcare: emerging findings of Research Into Global Healthcare Tools (RIGHT). Paper presented at 33rd Annual Conference of the European Working Group on Operational Research Applied to Health Sciences (ORAHS'2007), . Fill, K., & Brailsford, S. (2005). Investigating gender bias in formative and summative CAA. 263-272. Paper presented at 9th International Computer Assisted Assessment Conference, . Rauner, M. S., Gutjahr, W. J., Brailsford, S. C., & Zeppelzauer, W. (2005). Optimal screening policies for diabetic retinopathy using a combined discrete-event simulation and ant colony optimization approach. In J. G. Anderson, & M. Katzper (Eds. ), Proceedings of the International Conference on Health Sciences Simulation (pp. 147-152). San Diego, USA: Society for Modeling and Computer Simulation. Rauner, M. S., Brailsford, S. C., & Flessa, S. (2003). Using discrete-event simulation to select affordable intervention programs for vertical HIV transmission in developing countries. In J. Anderson (Ed. ), Health Sciences Simulation 2003 (pp. 59-64). San Diego, USA: Society for Modeling and Computer Simulation. Brailsford, S. C., Angelis, V. D., & Mecoli, M. (2009). Modelling the diffusion and control of Aedes albopictus borne epidemics: a proposed case study in the city of Rome. (Discussion Papers in Centre for Operational Research, Management Science and Information Systems; No. CORMSIS-09-02). Southampton, UK: University of Southampton. Brailsford, S. C., Berchi, R., De Angelis, V., & Mecoli, M. (2009). System dynamics models to assess the risk of mosquito-borne diseases and to evaluate control policies. (Discussion Papers in Centre for Operational Research, Management Science and Information Systems). Southampton, UK: University of Southampton. Brailsford, S. C., Potts, C. N., & Smith, B. M. (1998). Constraint satisfaction problems: algorithms and applications. (Discussion Papers in Accounting and Management Science; No. 98-142). Southampton, UK: University of Southampton.